Network & Workstation Security is vital to protecting your Company Data and IT Systems from malicious intrusions from unauthorized sources that threatens your business. DNS Security Scanning probes for malicious security threats headed for your network or device to proactively stop attacks. MethodIT provides the methodology to build a IT Network that is based on a Secure IT Foundation. We scan at the DNS level in the Internet before anything reaches your network. Finally, we scan at the end-point, at your desktop or device. For laptops and devices outside of your network, we still scan at the DNS level and the end-point. And the scanning is so fast, you will not know the extent of the security protection you have. MethodIT takes Security to another Level with FILE INTEGRITY MONITORING technology. This level of security is a requirement to be compliant with PCI-DSS and HIPAA as well as other Regulatory requirements. 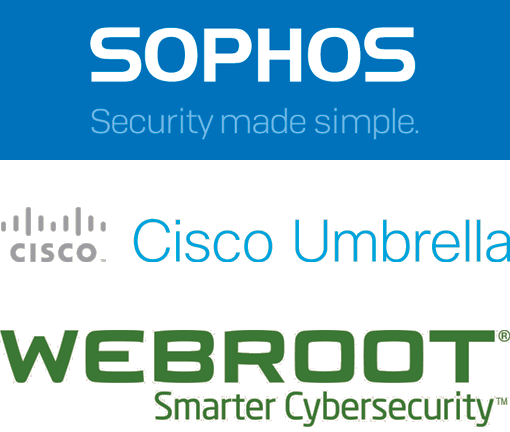 MethodIT has partnered with CIMCOR, a leader in IT Integrity, Security, and Compliance systems in the Industry. Even Businesses that do not require Compliance Security, employing File Integrity Monitoring ensures you have not been infiltrated by malware, ransomware, Trojans that have changed your system and files to ‘phone home’. More Information on how MethodIT and CIMCOR provides the Security you need.